Nathan found his love for health and fitness through playing sports and competing in athletics at a young age. After finding his natural calling to work within health and fitness through his studies he has never looked back. He offers a wealth of expertise alongside a strong belief in confidence and knowledge as the foundations for his guidance. Nathan has one of the highest industry qualification an FDSC in Personal Training and Bachelors of Sciences in Strength and Conditioning. In the past has previously worked with athletes within rugby, sprinting and long distance running. He has also obtained two further certifications and carries the title of Correctional Exercise Specialist (CES) for posture and injury rehabilitation alongside Performance Enhancement Specialists (PES) for elite level athletic programming. 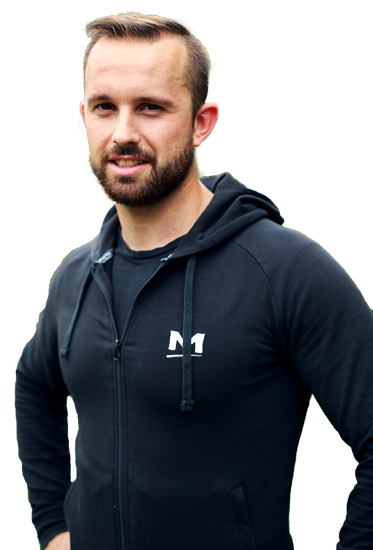 Nathan said “I believe having a passion for life is infectious to those around you and even if you lose your way in life as in fitness there is always steps to get back on track, motivation drives me and it drives my clients”. Nathan is avaliable through PT Workspace for personal training in Islington, personal training in Angel, personal training in Old Street, personal training in Dalston, personal training in Hackney, in and around N1 etc. Please enquire for more information.